Recently at Microsoft Ignite in Orlando, Microsoft demonstrated a voice call from Microsoft Teams to Skype for Business. There were lots of questions I had around that demo, as what was it actually doing? Fast forward a few weeks and I stumbled upon interop between Microsoft Teams and Skype for Business. Let me set the scene, the users are both in the same Office 365 tenant. I used Bob signed in on Teams and John signed in on Skype for Business Online, both clients the latest Windows clients. So here is the call between the two clients. There are a few things that work and don’t work. You can only make the call from the Microsoft Teams client to the Skype for Business client. The other way does not work. IM works either way with either client. In this next image, you can see the Skype for Business client is showing that the only features available is Instant Messaging (IM). 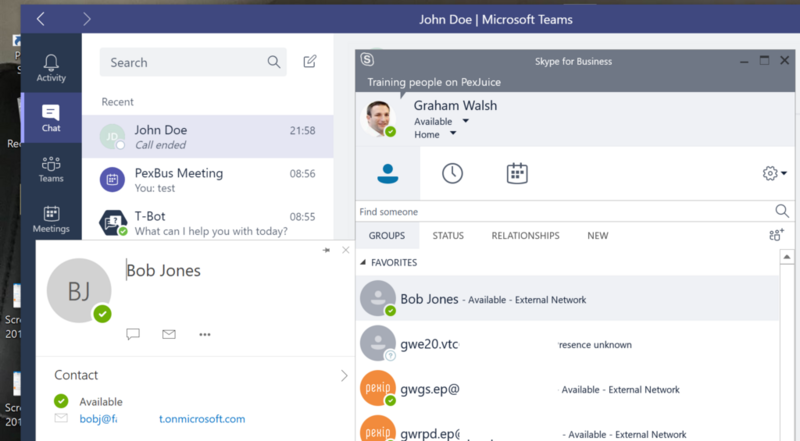 You can also see the Microsoft Teams client is showing that you are chatting with someone who is in Skype for Business, so there could be limited features. You will also notice in the chat roster list on the left hand side, you can see the Skype logo showing that the contact is on a different platform. As an experiment, I logged the Skype for Business client into another Skype Online tenant and checked to see if anything was possible. 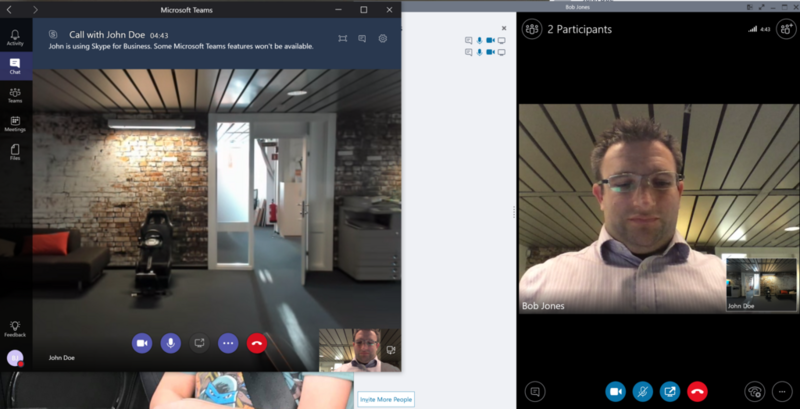 You can see that they Skype for Business client is able to see the presence of the Microsoft Teams user. However, no IM, voice or video works. I then tried signing into a Skype for Business Server on-premises and that also picked up the presence status. What I did observe was that when I changed the status, it was not replicating this change. Maybe I was impatient and did not wait long enough to see it change. So does it work at first? Well no. I was seeing this error at first, so went to Word and did an Office Update. This was the error I was seeing prior to be updating. That’s all for now, as soon as I discover more public features, I’ll let you know on LinkedIn, Twitter and maybe a new blog post.